* Sports Pony - What's in a Name? SPSS members are invited to attend the 2016 AGM. It is being held on Friday 6th January 2017 at 5.30pm at the De Vere Horwood Estate, Little Horwood, Buckinghamshire MK17 0PH. The room will be open from 5pm and there will be hot drinks and bescuits for attendees. We have moved the AGM to the night before the British Bred Sport Horse Stallion Event as that event now starts earlier and so there is a conflict for members and stallion owners in particular as the stabling opens at 11am. The AGM is being held in a local hotel and we hope that members will still support it. 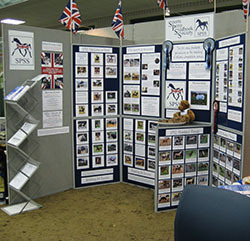 The SPSS will then have it's normal display stand at the Stallion Event and tickets are available on the door. The stallions are due to start parading at noon and more information is available here. Please come and chat to us even if you're not able to attend the AGM. Late entries may be taken for all venues (subject to late entry fee) if space is available. Contact the Studbook Secretary on 07703 566066 to find out about availability. 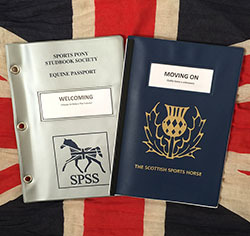 Following the closure of the Scottish Sport Horse (SSH) Studbook earlier this year, the SPSS has been updating SSH pony passports for the same cost as for an SPSS one as we wish to support those with passports for this now defunct studbook. We are also welcoming applications for SPSS passports for foals with at least one SSH graded parent (up to 158cm) as we are accepting SSH graded parentage as equivalent to SPSS graded for this purpose. In addition, until 1st November 2016, anyone with an SSH graded and/or passported pony (up to 158cm) who wishes to become an SPSS member can submit their SSH graded/passported pony’s passport (along with the relevant SPSS Registration & Membership Forms and Membership Fee) to the SPSS Studbook Office for overstamping into the appropriate SPSS Studbook/Registration section FREE OF CHARGE. Please allow 15 working days for this and we recommend that passports are sent by recorded delivery. We are delighted that due to demand, we have added another grading and evaluation date, Thursday 20th October, when we will be at Sidewood Dressage, Lanarkshire, Scotland ML11 8ET and doing Stallion & Mare Gradings and Youngstock Premium Evaluations. While entries for this venue close on 29th September, early entry is advised as space is limited. Late entries may be taken for all venues (subject to late entry fee) if space is available. Contact the Studbook Secretary on 07703 566066 to find out about availability. 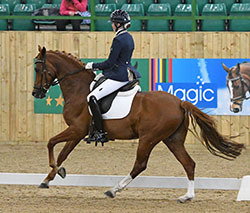 We're thrilled that TWO SPSS Graded Ponies have been listed by British Dressage in this year's FEI European Championships for Ponies British Dressage Team announcement. 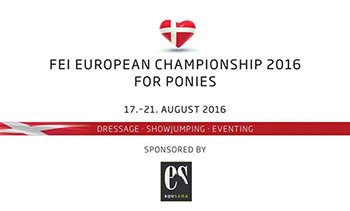 With a confirmed place in the team and one of the most experienced ponies selected is 11 year old Dutch bred SPSS Elite graded Madam’s Miss Maria (Woldhoeve's Silco x Wester Aikema's Norbert). "Dot", as she is known at home, represented GB at the 2012 Pony Euros ridden by Hariette Williams and was SPSS 2012 Mare Grading Champion that Autumn. This year, “Dot” and her 2016 rider, Sophie Taylor, were 5th in the Team test at the Hagen CDIOP and 6th in the same test at Saumur where they scored over 70%. These great results, as well as their winning the final pony trial, are even more impressive when it is considered that Sophie only started riding Dot at the end of 2015 and then just rode her a few times a month (as Dot was in Yorkshire with her owner, Becky Moody, and Sophie lived on the Isle of Man) until March, when Sophie moved to the mainland and Dot joined her. 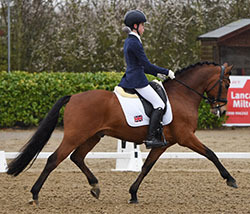 Then, we are delighted that 9 year old SPSS passported and Elite graded LE Chiffre (SPSS Elite Caesar 171 x Donnerwetter) has been named as one of two possible British Pony Euros team rides for Lara Kuropatwa. With the final selection of which pony to take to Denmark in August being left as late as possible, it’s a case of wait and see at the moment - but we do have fingers, toes etc crossed that "Peanut" gets his nose ahead of his stable mate and is Lara's choice! 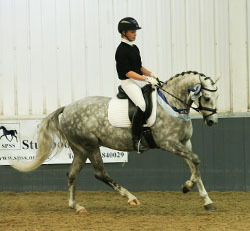 Peanut was bred by Bev Brown of Leamside Equestrian and is still owned by her daughter Samantha and if LE Chiffre is part of the team then he will be the first SPSS passported pony to compete at a Pony European Championships – a major milestone for a studbook that was only formed in 2000. 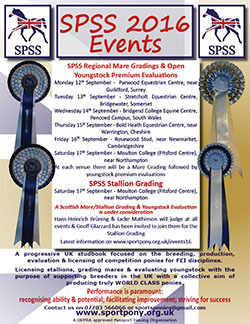 Entries are now open for the 2016 SPSS Mare & Stallion Gradings and Youngstock Evaluations. With the September Tour going from the South East, to the West Country, then across into South Wales, before going North then into East Anglia and finishing centrally, we hope that we are within a reasonable travelling distance of most members. If we're not, then please let us know and we'll try to get closer next year! 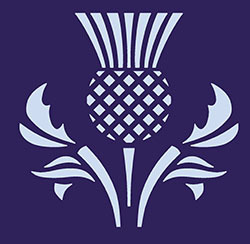 We're also hoping to arrange a date in Scotland in October - please contact the Studbook Office if you would be interested in bringing a mare or stallion to a Scottish date as that will help with our planning. We're delighted that the multiple Pony Euros team medallist and SPSS Elite graded British-bred mare Catherston Nutsafe (Catherston Nightsafe x Dutch Courage) has once again been long listed for the British Pony Euros Eventing team. 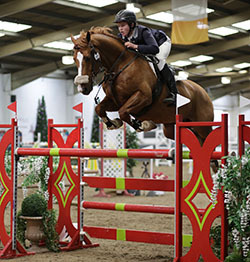 Now partnered by 14 year old Molly Faulkner, Nutsafe was bred by Lizzie Murray. Nutsafe, who is known as "Snoopy" and Molly have been together since 2015 and this year have won one Pony Trial, been 3rd in another and were 7th at the British Pony Championships. Now aged 20, Nutsafe won Eventing Team Silver in 2008 & 2009 (ridden by Ella McEwen) and Team Gold in 2010 (ridden by Sam Ecroyd) and again in 2014 (ridden by Chelsea Pearce). Also on the long list is the 8 year old British-bred gelding, Stambrook Masterful (FS Don't Worry x Tsing Lite) who is ridden by Alexandra Mackenzie. Masterful was bred by SPSS member Sarah Rook and is out of her homebred mare Stambrook Miss Go Lightly who is also the dam of the 2015 SPSS Central Mare Champion and Reserve Supreme Mare Champion, Stambrook Miss D'Mena. 7 year old Miss D'Mena (a full sister of Masterful) is also eventing, ridden by Mollie Harris, and they won a BE100 in June. We are delighted to announce that 5 SPSS graded ponies, BKS Grand Design, Classic’s Charmeur, Chaneira, Ella and Littledale Bright Star have been awarded the sought after SPSS Elite Graded status as a result of either their own or their progeny’s performance at International competitions. Classic’s Charmeur (Classic Dancer x Domingo) and BKS Grand Design (Golden Moonlight x Black Boy) have both represented GB at FEI pony dressage (CDIP) competitions and achieved top ten placings. Littledale Bright Star’s SPSS passported son, Catherston Bit of Gold (x Catherston Gold Eagle), was clear in the 1.25m class at the 2015 Keysoe 2* International Showjumping (CSI) competition and another of his son’s, Prairie Star (x O Malley), completed the 2* International 3 Day Event at Hartpury in 2012. More recently, Chaneira’s SPSS passported son Cruz (by SPSS Elite Caesar 171) represented GB at the Compiègne CDIP and he too finished in the top ten. Finally, the 2014 SPSS Mare Grading Champion Ella (SPSS Elite Caesar 171 x Santano) competed for Ireland at both the Roosendaal and Hagen CDIPs. Sports Pony - What's in a Name? 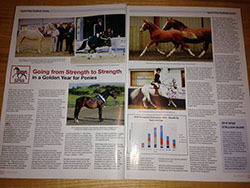 The second 2016 issue of the British Breeder magazine had another article by SPSS Studbook Manager, Lucy Sheldrake, this time focussed on "Sports Pony - What's in a Name?". The British Breeder magazine is mailed to all SPSS members as a membership benefit but if anyone else wants to read Lucy's article, it's available here. The SPSS will be attending the Stallion AI Services & Twemlows Stud Open Day and Stallion Parade on 23rd April at Twemlows Hall Stud Farm AI & ET Centre and we're really looking forward to seeing the six SPSS graded stallions who are attending. Please come along to our stand for more info on our 2016 SPECIAL OFFER on foal registrations and for details of our charity auction item in aid of British Horse Foundation. More information available here. 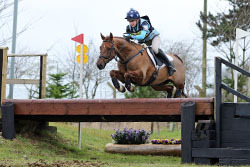 We are always on the looking out for SPSS passported ponies and horses at competitions and were delighted to spot that SPSS passported Just Paddington (SPSS Elite Laban x Castellmai Celt) & Gussie Terry were 6th in the Pony Trials at both the Lincolnshire and Oasby events in March. Also competing in the Pony Trials classes and 11th at Aldon International, has been SPSS passported Kingswalk Moonraker (SPSS Elite Bernwode Brokat x Chiddock Fankino) & Alfie Marshall. Then the small horse, Catherson Bit of Gold (SPSS Elite Littledale Bright Star x Catherston Gold Eagle) & Tatiana Beskhmelnitskaya won their BE100 section at Great Witchingham International. Our congratulations to the breeders, riders and other connections of these successful SPSS passported ponies and horses. We are delighted to be supporting Britisports pony breeders in their breeding operations by offering a £25 discount from the passport application fee for all 2016 foal passports applied for by 1st November 2016 that are accompanied by the voucher in the 2016 SPSS Stallion Guide. Copies will also be available at the 2016 Futurity Evaluations, all SPSS Events and selected other events this summer. As such we will happily accept SSH graded ponies into the relevant section of our studbook and can deal with ownership/ detail changes for any SSH passported ponies. 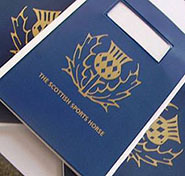 We are also very happy to issue passports for 2016 foals by SSH graded pony stallions or out of SSH graded pony mares. Our congratulations to SPSS member Naomi Maxted Massey on the safe arrival of a lovely palomino colt out of her SPSS graded mare Sweet Fancy (Scampi x unknown). Named "MM Dating Little Zeus", he is the first SPSS connected foal we've heard of so far this year - but we look forward to hearing of lots more safe arrivals and of course seeing loads more photos. We love this time of year! Photos and information on 2016 foals by a SPSS licensed/graded stallion or out of a SPSS registered/graded mare are added to the 2016 Foals page throughout the year. 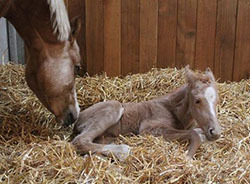 Email your own foal's photo to including details of the parents, date of birth etc in the email. Please note that you must obtain the photographer's permission before submitting a photograph - and state this in the covering email please. We have taken this opportunity to make some additional improvements, introducing new larger wrap around covers, with window to easily see the pony's name, and now SPSS passports will include a 4 generation detailed pedigree instead of only 3 generations as previously. We also have specific pages for all grading & evaluation results. Plus don't forget our 2016 **SPECIAL OFFER** - For 2016 foal passports there's a £25 DISCOUNT if the application is made before 1st November (see 2016 SPSS Stallion Guide for voucher & details). We are delighted to announce the dates and venues for the 2016 Grading and Evaluation Tour (see the 2016 Grading & Evaluation page here). The Tour will start in the South East on Monday 12th September and finish centrally on the Saturday, taking in venues in the South West, Wales, the North and East Anglia on route! All venues/areas are different from last year to give different members a close venue but we do hope that we're not too far from most members (and if we are then let us know and we'll try to get closer to you next year!). The first of the three 2016 issues of the British Breeder magazine was published to coincide with the January BBSH Stallion Parade and copies were available on the day for attendees to pick up and SPSS members were mailed a copy along with the SPSS Newsletter as a membership benefit. Anyone else wanting to read the interesting article by SPSS Studbook Manager, Lucy Sheldrake, can do so here. 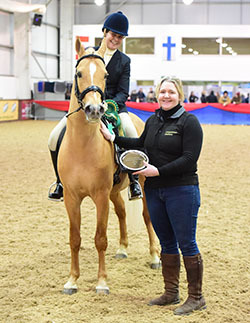 We're delighted that Penny Walster's home-bred SPSS graded stallion, Bathleyhills Monet, was awarded the Competition Stallions trophy for the British-based pony stallion with the highest average score for progeny evaluated at the 2015 Futurities. This was the first time this award has been made and a minimum of 5 progeny scores were required. It was especially good that the award went to a young British-bred pony stallion who, as well as the 5 2015 foals that counted for this award, also had an Elite Premium foal from both of his first 2 crops (2013 & 2013) and then in 2014 had 2 foals who were judged to only be 0.02% short of receiving Elite Premiums too! 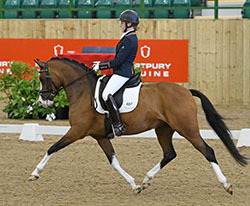 The Final will take place on Sunday 10th July at the Hartpury Festival of Dressage. The 2015 SPSS AGM was held on Saturday 9th January 2015 at Bury Farm Equestrian, Bucks. We were delighted to have more members attending than in at least the previous 4 years and maybe longer. All resolutions were passed, including revisions to the Rule Book and the Memorandum and Articles of Association and we received some useful feedback from members which will be acted on. The 2015 AGM Minutes (including associated documents) may be viewed/download here and the new 2016 SPSS Rule Book can be downloaded from here. At the 2016 Breeders Dinner & Awards Ceremony (organised by the British Horse Foundation), the SPSS sponsored Pony Performance & Breeding Award was presented to the SPSS Elite Graded stallion Rembrandt DDH (Renoir x Viktoria's Chirac). 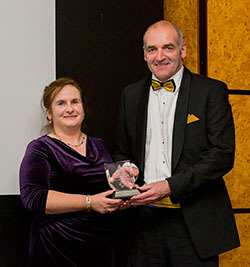 The award was presented by SPSS Committee member and Studbook Secretary, Philippa Cole, and was accepted on Rembrandt's behalf by Tullis Matson of Stallion AI Services. Rembrandt was selected for this award by the SPSS as not only did he play a major part in the British pony dressage team winning Britain’s first Pony Dressage Team Gold medal last year but he is also the first pony stallion to achieve a “hat trick” of 3 Futurity Elite foals in one year. At the 2016 British Breeders Awards Dinner impressive certificates and rosettes were collected by a number of SPSS members on behalf of their top scoring foal, yearling, two and three year old ponies (and horses) over all the previous year's Futurity Evaluations. Penny Walster's Bathleyhills Golden (Bathleyhills Monet x Chateau de Brion) the top scoring Sports Pony 3 year old. 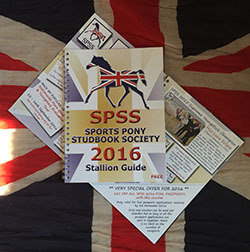 The full colour booklet includes SPSS Notices and highlights from 2015 as well as featuring 28 of the SPSS stallions in the Stallion Guide section PLUS a voucher for £25 off the standard cost of a SPSS passport for 2016 foal passports applied for by 1st November 2016.. 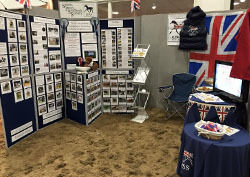 The SPSS will be at the British Bred Sport Horse (BBSH) Stallion Event at Bury Farm Equestrian Village again, on Saturday 9th January from 11am to 8.30pm. As in previous years, there'll be a trade stand area, top class stallions, international riders and an evening spectacular. Just to wish all our members and supporters a very happy and successful 2016. During the year we will be undertaking another Grading & Evaluation Tour - to venues/locations not visited on the successful 2015 Tour - and finishing with our Main Stallion Grading on Saturday 17th September at Moulton College, near Northampton. See more on our Events page. There is a new Rule Book effective Jan 2016 - this can be downloaded here.